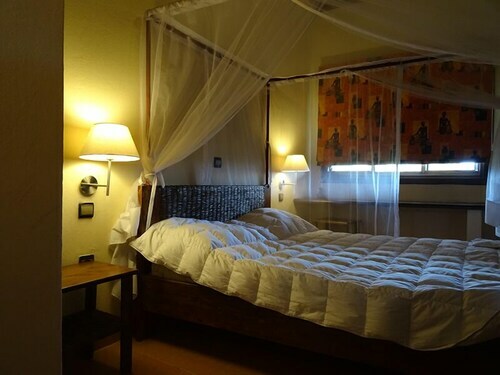 Expedia's Bujumbura vacation packages will help you save money! Combining your bookings will give you more spending money for your upcoming vacation. Would you like to save up to C$590*? Buy your group's travel package on Expedia today! With more than 400 partner airlines and 321,000 worldwide properties available on our comprehensive database, you'll be heading off on your next vacation in no time! You don't have to worry about changing your group's travel itinerary, as we don't charge additional cancellation fees for almost all of our hotel bookings. It can be really nice to just stroll around the streets when you're in a new destination, but sometimes it's sensible to have a plan. Grab your travel schedule — we've got some cool ideas for your forthcoming Bujumbura vacation. Money burning a hole in your wallet? Rifle around for hidden treasures and walk away with some superb deals at Bujumbura Central Market. There's an excellent range of things to keep you busy in this destination. Get ready to walk on the wild side! Take the whole family to Musee Vivant and watch the kids' eyes come alive as they observe some of the marvels of the animal kingdom. Still have time on your hands? There is no better teacher than history. Journey back through time and get a lesson at La Pierre de Livingstone et Stanley. 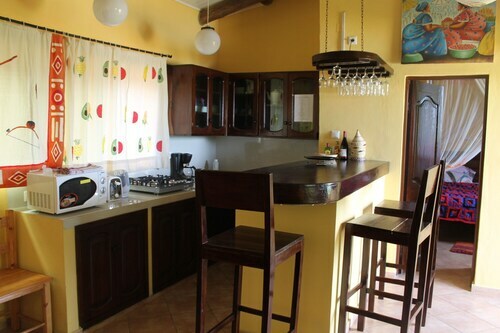 Looking for a nice place to kick your feet up in Bujumbura? 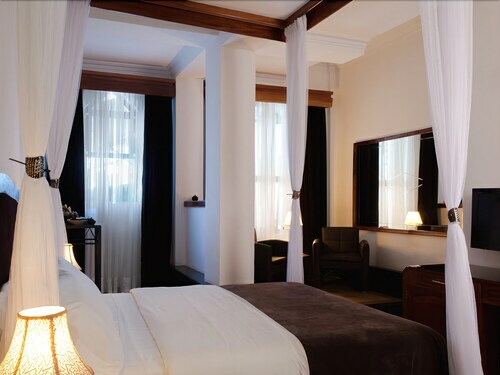 Scroll through the national capital's 10 choices via Expedia and book your ideal room now! We've got cheap vacations and luxury getaways for every kind of traveler. If you haven't got time to browse the web for hours for a place to stay, why not check out our recommendations? The Hotel Club Du Lac Tanganyika and Best Outlook Hotel are some of the most highly regarded properties around. Positioned just 5 miles (8 km) away, Bujumbura International Airport (BJM) is the closest terminal to your destination. Check that your seat belt is buckled and make sure your seat is in the upright position — your exciting trip to Bujumbura is about to start! 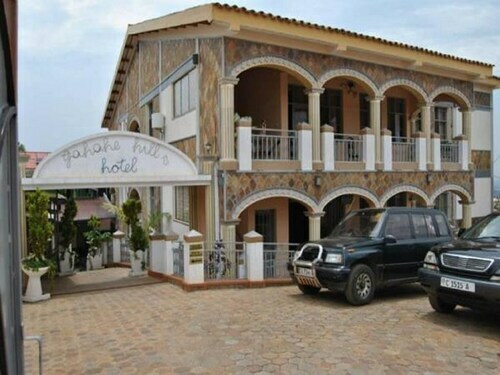 Located in Bujumbura, this beachfront hotel is connected to the airport, 0.1 mi (0.1 km) from Saga Beach, and within 6 mi (10 km) of Bujumbura Central Market and Musee Vivant. U.S. Embassy and Prince Louis Rwagasore Stadium are also within 6 mi (10 km). Located in the heart of Bujumbura, this hotel is within 3 mi (5 km) of U.S. Embassy, Prince Louis Rwagasore Stadium, and Bujumbura Central Market. Musee Vivant and Saga Beach are also within 6 mi (10 km). Situated in Bujumbura, this hotel is within 2 mi (3 km) of Prince Louis Rwagasore Stadium, U.S. Embassy, and Bujumbura Central Market. Musee Vivant is 2.7 mi (4.3 km) away. 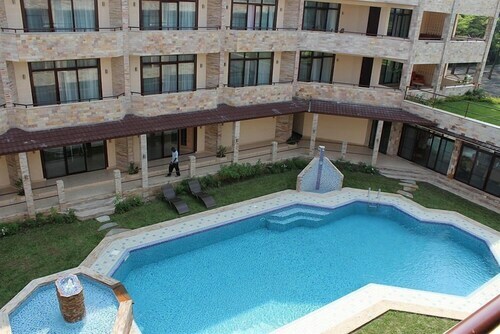 Situated in Bujumbura, this hotel is within 1 mi (2 km) of Prince Louis Rwagasore Stadium and Bujumbura Central Market. Musee Vivant and U.S. Embassy are also within 3 mi (5 km). 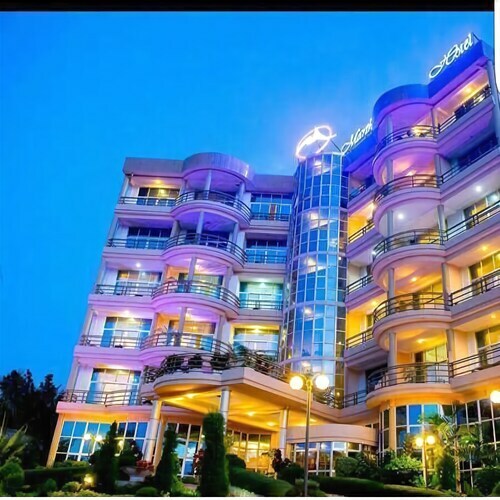 Located in the heart of Bujumbura, this golf hotel is within 2 mi (3 km) of Bujumbura Central Market, Musee Vivant, and Prince Louis Rwagasore Stadium. U.S. Embassy and Saga Beach are also within 3 mi (5 km). 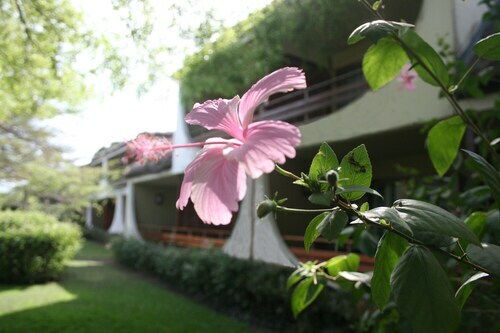 Situated in the mountains, this aparthotel is within 3 mi (5 km) of U.S. Embassy, Prince Louis Rwagasore Stadium, and Bujumbura Central Market. Musee Vivant and Saga Beach are also within 9 mi (15 km). Situated in Bujumbura, this hotel is within 3 mi (5 km) of U.S. Embassy, Prince Louis Rwagasore Stadium, and Bujumbura Central Market. Musee Vivant and Saga Beach are also within 6 mi (10 km). Fri., 5 Jul. - Fri., 6 Sep. Sat., 4 Jan. - Sun., 2 Feb.
Fri., 27 Sep. - Sat., 19 Oct.